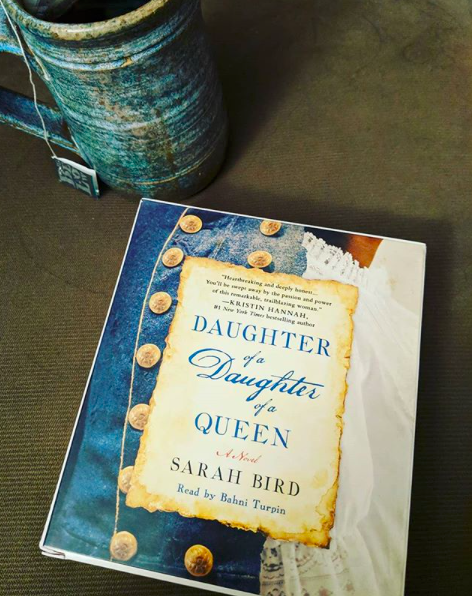 I won an audio version of Sarah Bird‘s Daughter of a Daughter of a Queen through Goodreads. I then managed to convince my bookclub to read it this month, which means I actually got around to reading it. Double win. I want to start out with praising Bahni Turpin for her narration. Historical fiction isn’t a genre I gravitate toward and I don’t know if I’d have made it through this one without Turpin’s reading of it. Beyond that I appreciated the beautiful use of language (having the audio version really helped with this). And I thought Bird really highlighted some aspects of slave life that gets glossed over in a lot of fiction. For example, when everyone was up in arms over a white girls being kidnapped by Indians and a free slave asking, Who hasn’t seen worse done to our by a Master? Or when a black soldier was speaking passionately about not wanting a white woman (as all white men seem to assume he does), but a black woman. These were moments that touched me and felt real. A caveat: Maybe it is a simple reality of writing race, but I was never able to allow myself to forget that Bird is white. So, beautiful as these scenes might be, there was always a grain of “It feels right, but I’m white and she’s white, maybe it only feels right to us who have never faced this head on. I hope that’s not the case, but…” Certainly I’ve seen other reviewers take issue with some aspects of the representation. And there were definitely whiffs of Cathy being better than other slaves, which is problematic in the same way writing a female character that is somehow ‘different’ and ‘special’ and ‘better’ than ‘those other girls’ is inherently anti-female in general. So, I leave open that there may be problematic aspects I didn’t highlight. I did think the story repeated itself at times and dragged a bit through the middle. There were a few “too coincidental to be believed” moments (the prostitute scene, for example) and I just can’t accept the ending. It looped around and gave Cathy something she’d wanted early on and left the possibility of happiness in the future. But that wasn’t enough to really satisfy me. All in all, however, I liked it well enough. Edit: I had bookclub the other day and we discussed this book, as it was our monthly read. I brought up my opinion that Cathy was a little too much of the “special” girl for my taste, that I thought it was problematic because (as I said above) it infers that had other slaves been more like her they would’t have been slaves. Someone countered that they disagreed. They thought it was supposed to focus on how influential what we’re taught to be is. Cathy was taught to be something and if others had been raised as she was there would have been more empowerment. My friend argued that the moral is meant to be the importance of how children are taught to view themselves. You’ll have to decide for yourself which you think is the right interpretation. This entry was posted in books/book review and tagged audio book, book club, book review, historical fiction on January 11, 2019 by Sadie. 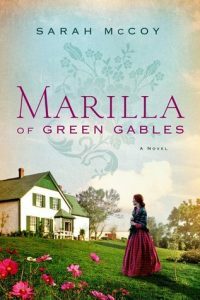 I won a copy of Sarah McCoy‘s Marilla of Green Gables through Goodreads. I then took it to book club with me and the group chose it as our November book. I devoured this, but had a mixed reaction to it. I loved Anne of Green Gables when I read it as a teen. It would be difficult for this book to compare. I admit that up front. Having said that, I think that if I hadn’t been invested in Mathew and Marilla from their association to Anne, I’d have been bored to tears by this book. As it was, I appreciated the stellar writing and thought McCoy gave Marilla an unexpected history, but never truly lost myself in it. Mathew and Marilla are quite characters. That’s established canon. They feel deeply, but express little. And essentially that’s where this fell down for me. This book follows 40 or so years of Marilla’s life and we finish the book not really knowing anything more about her than when we started. She’s emotionally stunted and unwilling to go after what she wants. Does she do something heroic once in her life? Sure, but mostly that’s just arranging for someone else to do all the work. I suppose I had hoped for a bit more than 300 pages of Marilla’s stoic navel gazing. I rated it highly though, because disappointed in it or not, it’s beautifully written. 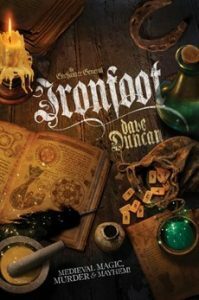 This entry was posted in books/book review and tagged book club, book review, historical fiction on October 17, 2018 by Sadie.